The sun is shining, the birds are chirping and the smell of meat and vegetables cooking wafts through the air. This may seem like the scene of a vacation getaway, but for many homeowners, it’s a yearlong reality now that outdoor kitchens and living spaces have become popular home improvement projects. In fact, 1 in 10 outdoor renovators invests in outdoor kitchen equipment, such as grills, special cookers, built-in cabinetry, sinks and appliances, according to the 2017 U.S. Houzz Landscape Trends Study. 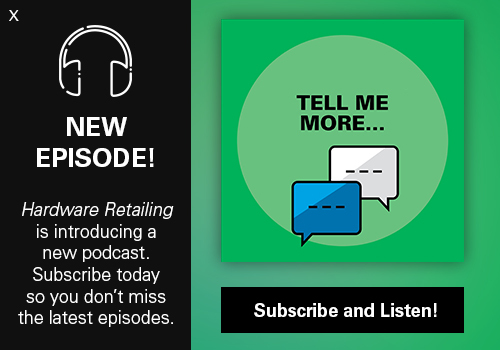 For a designer’s perspective on these trends and why retailers should consider selling this home improvement project, Hardware Retailing spoke to Michael Erickson, co-owner of Inside Out Kitchen and Bath, a construction company that serves homeowners throughout Florida’s west coast. 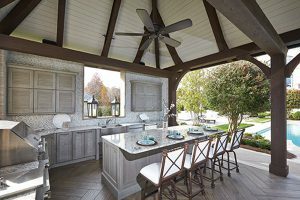 Read on to learn the four main trends displayed in today’s outdoor kitchen and the products that make the space desirable. Discover how you can incorporate these types of products into your outdoor lawn and garden departments to gain these customers. One thing homeowners will think about when it comes to creating an outdoor space is the type of cooking source to choose. 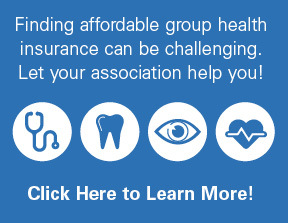 But grills are not one-size-fits-all. 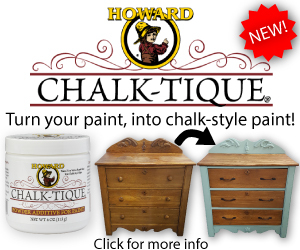 Today’s homeowner has a variety of products to choose from. Some manufacturers are creating high-end grills that allow users to switch between, depending on how they want to cook their food. 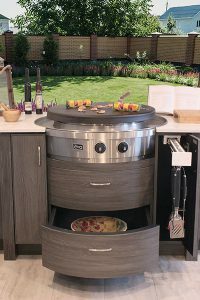 One of the fastest-growing segments of outdoor living is specialty grills, according to the market research firm The Freedonia Group. 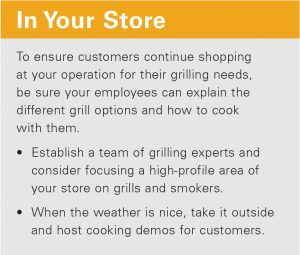 These include pellet grills, kamado grills and smokers, which all allow the chef to focus on different ways to add distinct flavors to their food. 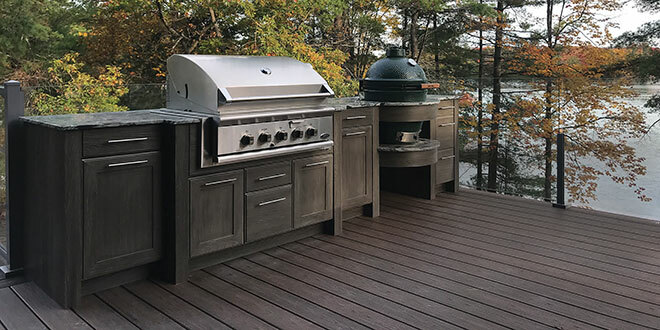 When a customer hires Erickson’s company to build a new outdoor kitchen, they may have a basic space that was created when the house was built that they want to gut and make their own. As more homeowners are finding ways to prepare meals outside, outdoor kitchens will include built-in gas grills connected to a home’s natural gas line. People who want an outdoor kitchen but aren’t as interested in grilling, might install the same type of range outdoors as they use indoors. Depending on a homeowner’s outdoor space and budget, another segment of the outdoor kitchen that brings the convenience of cooking into nature is outdoor-rated appliances and plumbing options, like sinks. Installing a sink in the cooking area can help with cleanup and during the food prep process, like washing vegetables. Some homeowners may want to take cleanup a step further by adding a dishwasher to the outdoor kitchen. However, consumers should make sure they select a dishwasher that is designed to withstand weather in all seasons. It’s also important for them to be aware of building codes and other requirements. Erickson says any appliance used outside must meet specific building codes. Instead of wading through codes and requirements, connecting an outdoor sink to a cold water connection might be all a homeowner needs to do to get the job done, Erickson says. “If they want to incorporate basic plumbing like adding a sink, depending on their community’s code, running water off the outdoor cold water line might be the best way to move forward with their project,” he says. 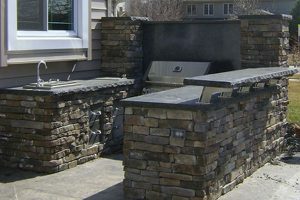 Some homeowners might also want to designate a bar area in their outdoor kitchen layout, which might include a separate icemaker or a wine cooler. Another appliance customers might consider adding is a minifridge designed for the outdoors. 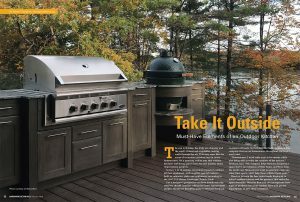 For homeowners who want to create an outdoor kitchen but want to finish the project quickly, Erickson says there are several different manufacturers that create modular, moveable counter islands, which include storage, a sink, a counter for preparing a meal and a cutout to fit specific grills or cookers. This might be a preferred option than a built-in design. Michael Erickson’s Florida-based construction business Inside Out Kitchen and Bath specializes in helping its customers get the outdoor kitchen of their dreams. Erickson says stainless steel cabinetry is a trend he prefers in outdoor kitchens. In order to prep and cook a meal conveniently, every kitchen needs countertops. 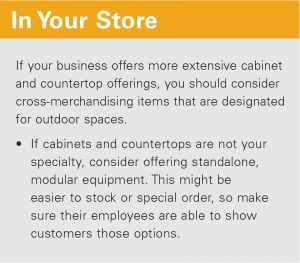 When selecting a countertop for the outdoors, homeowners must take into account the different materials. Porous stones like marble, limestone and bluestone stain easily and would be better to avoid, according to this article by HGTV. One of the most durable options to choose is granite, as it doesn’t absorb stains or odors and shouldn’t fade in the sun. Soapstone is another option, and while the colors are limited compared to granite, it is resistant to heat, stains and bacteria. A design style that Erickson prefers when designing outdoor kitchens for his clients is concrete countertops. As outdoor kitchens become a more common project, there are more manufacturers that create cabinetry designed specifically for the outdoors. Popular types include weatherproof cabinets made of a specialty resin material that looks and feels like wood. These can come in a variety of finishes and styles. Plus, many are constructed to allow homeowners to select cabinets for appliances and provide storage spaces. Metal cabinets are also popular as they can withstand changing weather, rot and insects. These cabinets come in a variety of styles, providing the opportunity to customize a kitchen’s finished look. Some cabinet manufacturers create systems that fit specific grills and cooking units, while others make customized cabinetry. According to Erickson, modular kitchens can allow a homeowner to do it themselves. “Many modular kitchens are stainless steel setups that can be mixed and matched,” he says. Storage keeps outdoor kitchens organized, so homeowners don’t have to run inside for tools. These may include hidden drawers for trash bins, pull-out cutting boards and drawers to store cooking tools. 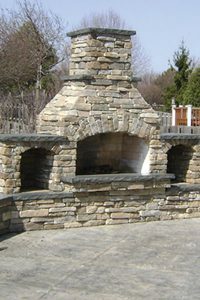 Inside Out Kitchen and Bath helps customers add a variety of projects to their outdoor kitchen, like this fireplace installation with built-in seating. 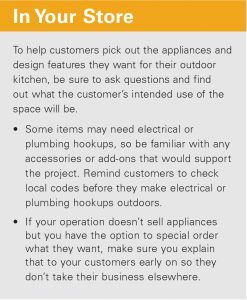 It’s important to consider the regional temperatures to keep an outdoor kitchen and living space comfortable. 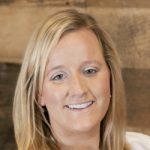 When Erickson first began completing construction jobs five years ago, he was living in the Chicago suburbs where outdoor kitchens were a popular request among homeowners looking to extend their time spent outside. For homeowners who intend to use their outdoor kitchens as long as they can, combining a variety of items to keep the space warm can make it accessible almost all year. One way almost any retailer can keep outdoor living areas warm is by adding a fire pit into the design, Erickson says. These can range from something as simple as a wood-burning fire pit to stationary setups with fire rings and glass. An outdoor fireplace is another way to heat up the space and bring a homeowner’s design preferences to the space. In many designs, the fireplace becomes the focal point, and it also can provide storage and built-in seating areas. Three years ago, Erickson moved to Florida to start Inside Out Kitchen and Bath with his brother. Erickson says he is now frequently asked by customers what to add to keep outdoor living areas cool. If it gets hot outside, an outdoor ceiling fan can help promote circulation. Homeowners should pick out options that are wet, dry and damp-rated outdoor fans. These are waterproof and can handle the outdoors. 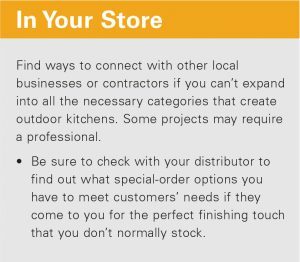 Wall-mounted outdoor fans are also an option for customers whose outdoor kitchens aren’t covered by a roof or other structure. According to Erickson, he often will add misting fans to his outdoor projects to provide relief from intense humidity. To prevent smoke from blowing in guests’ faces or clouding the cook’s focus, a vent hood is also a smart addition. The hood should be larger than the grill so it can catch smoke easily. While outdoor kitchen remodels can be as basic or extensive as a homeowner desires, this project will continue to be on many wish lists in the years to come, Erickson predicts.